A spring evening course examining the historical teachings of the Catholic Church concerning architecture, art, literature, music and ritual - organized by the Priory Institute. How lovely is your dwelling place, Lord God of Hosts! Whilst acknowledging the loveliness of God's dwelling place, the opening lines of Psalm 83:1 remind the "People of God" about the important role played by beauty in our Churches and places of worship. Motivated by a significant question posed by Pope John Paul II in his Letter to Artists, "Does the Church need Art? ", the course will examine current theological debate on beauty and the arts, and consider the challenges posed by the contemporary culture of image and sound to the Church's traditional understanding of the function of sacred art. Accordingly, we will examine the historical teachings of the Catholic Church concerning architecture, art, literature, music and ritual, and explore how each of these art forms harmoniously unites with the worshipping community to create a beautiful house for the Lord. 5 February: Introduction: how lovely is your dwelling place! 19 February: Does the Church need art? Does art need the Church? 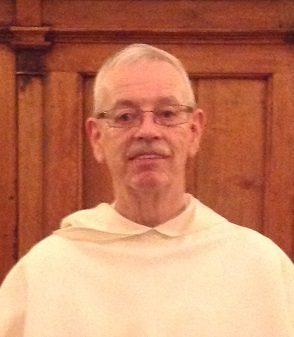 Michael Dunleavy OP is a member of the Irish Dominican Province. He studied theology at the Dominican House of Studies, Tallaght and the Angelicum University, Rome. Michael has always had a keen interest in music and the arts; and, in his Dominican ministry, has preached retreats and presented conferences on the theme of the beauty of the Christian faith as portrayed in masterpieces of art and masterworks of music. Michael spent nine years in Rome at the Irish Dominican Community of San Clemente undertaking the roles of prior and bursar. The exceptional beauty of the Basilica of San Clemente, situated within the cultural and art-historical milieu of the city of Rome, was an inspiration for Michael to pursue further studies in the arts. He was awarded a BA (Hons) in Art History and Music from the Open University, Milton Keynes, UK. At present, Michael lives with the Dominican Community at San Domenico di Fiesole, Italy, and is currently completing a doctoral dissertation on the Dominican artist Fra Angelico, titled "Epiphanies of Beauty: Music Iconography and its Spiritual Meaning in Selected Paintings of Fra Angelico." Venue: The Priory Institute, St Mary's Priory, Tallaght, Dublin 24. Timetable: Monday evenings from 7.30pm to 9.00pm between 6 February and 21 May 2018, with breaks for bank holidays, Holy Week and Easter. Delivery: Illustrated lectures and group discussions.